Here is a fantastic soul punk band (that says they are a hip-hop group) whose last record titled "Sorry To Bother You" from four+ years ago should not be overlooked. Nor should KEXP, the often edgy Seattle FM radio station that filmed this perfectly recorded music performance (and interview with host Larry Mizzel Jr.) on November 17, 2012. 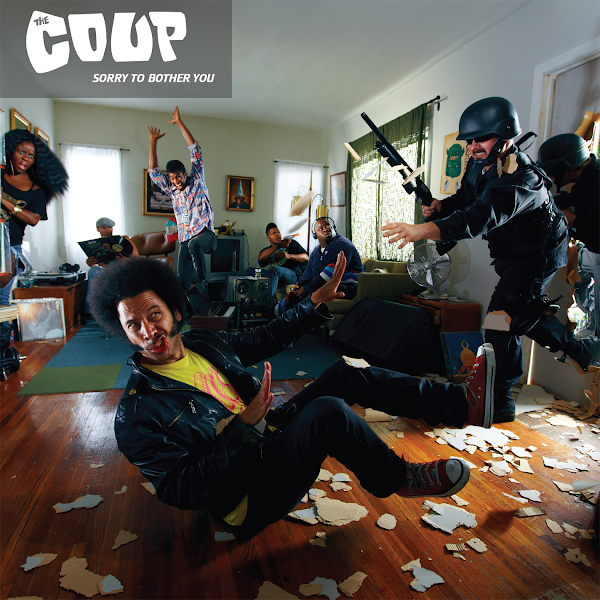 The Coup's lyrics are about a truth from the struggled perspective that includes what it means to having a landlord banging at your door, but goes deeper into political messages and foreign policy. Information on the band's official band website touches on the history of classic Coup d'éta going back to the days of Napoleon Bonaparte, followed by a self storage ad before one realizes it's a band website.